Hello and welcome to the Graveyard Shift! Hosted by Kotaku's reader-run blog, TAY. A place to talk about anything, be game related or in 4D. So feel free jump in the ice breaker topic or not ¯\_(ツ)_/¯ Maybe check the random blips of TAYCLASSIC. Either way, this is for you! The Late Night/Early Birds/ Old-World/ Citadel Shoppers/Sickbed /Office Drones/ All-Nighter future warriors! Started re-watching the original Gundam series (no picture related), and you probably can guess by my avi. But dang... the feels of seeing two characters you have an attachment to, and when they go at it for one last time never gets old. But just not to make it about MSG. 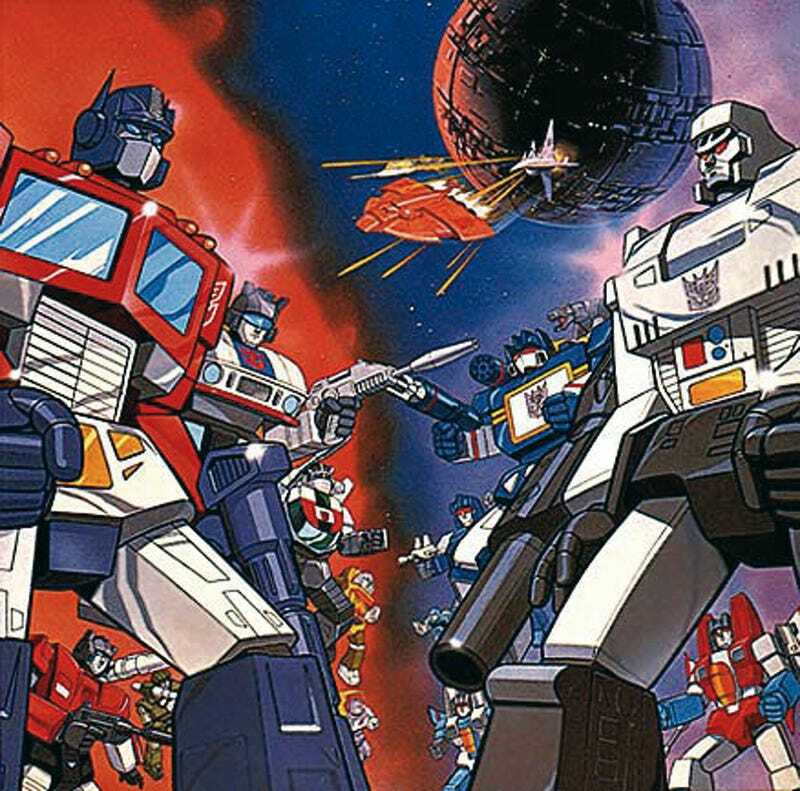 Another rivalry that will never get old in my book is the Transformers G1 era. Optimus Prime against Megatron in a conflict that has spanned a millennia...probably...maybe...who knows. But maybe that's just the kid in me who still hold those Sunday morning cartoons close to heart. So just so we can get a topic going, are there any rivalries you enjoyed or still do to this day to play or sit relax and watch the blood batch unfold? No? Oh welp. Don't have to take on the off-topic of a topic, so whatever you decide feel free to talk about life as an emotionless drone or that new virtual human reality video software that's all the rave... So TALK AMONGST YOURSELVES! The war for Cybertron...yeah this has that feel to it. "The Graveyard Shift is not responsible for hating that hedgehog!"